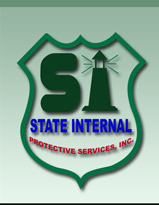 STATE INTERNAL PROTECTIVE SERVICES, INC. (SIPS) specializes exclusively in executive protection, investigative, and security services (armed and unarmed). SIPS's principal executives have over 18 years of experience in the security field. All of our employees are dedicated to their job-related tasks and they have received personal hands-on training, as prescribed under Chapter 493 of the Florida Statutes and Division 7 of Title 16 of the California Code of Regulations - Article 9. Our vision is to offer the most advanced safety techniques for our clients with consistently high standards, quality and performance. Our clients value our investigative and security services as an asset for their properties as well as their individual needs. It is our mission to protect their investments around the clock while meeting and exceeding all of their expectations.